Hey Folks! 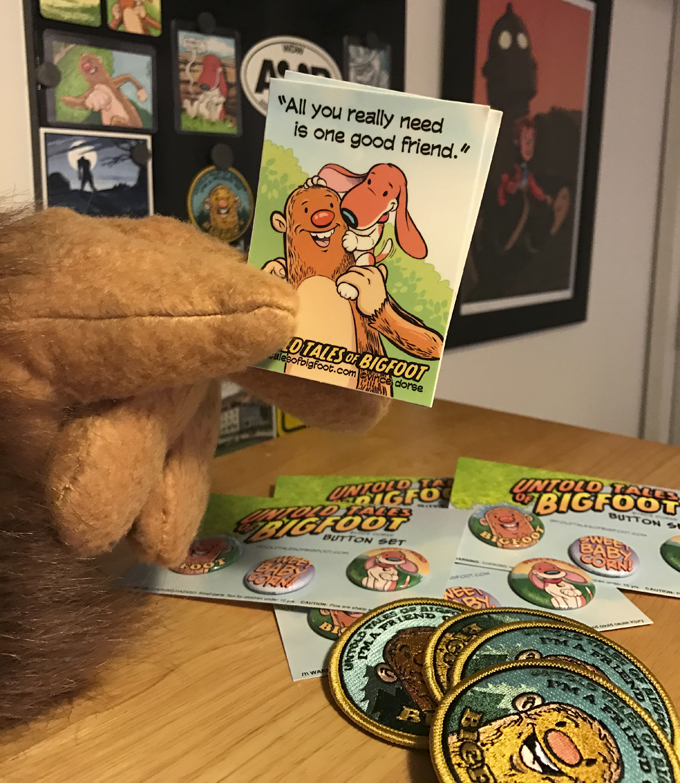 Quick update for those of you who aren’t getting the Kickstarter updates. Like I said, just waiting on the books. Of course, once the books get here, I’ll still have a ton of signing and sketching to do inside them before I can ship them out. But what else have I got to do? I am taking a quick spin by New York Comic Con to hang out with the folks at the National Cartoonists Society (Booth #2058). If you’re going to be at NYCC, stop by on Friday, October 7th, from 1-4 pm and say hi. 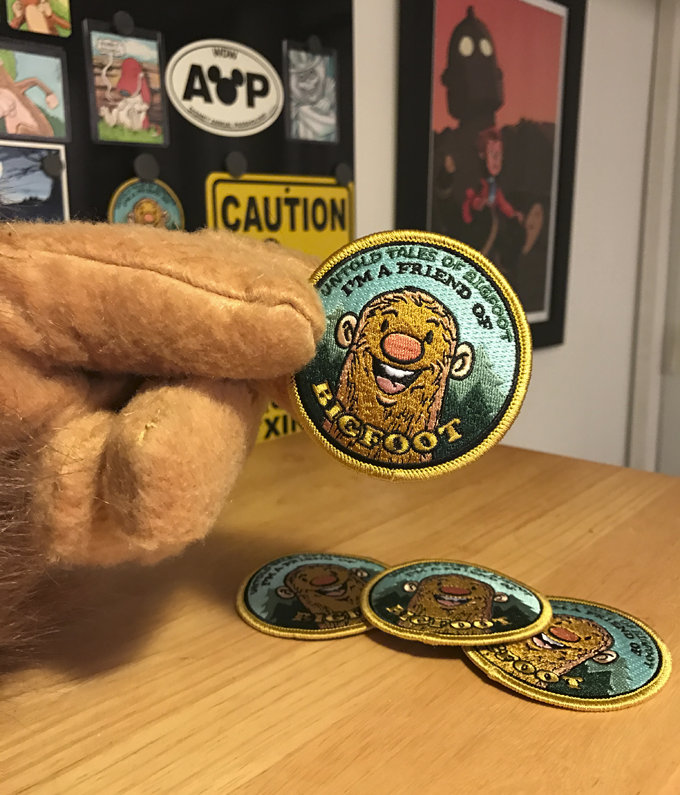 I’ll be drawing Bigfoot sketches and offering some of this fun Untold Tales of Bigfoot merchandise. Nice display, right? 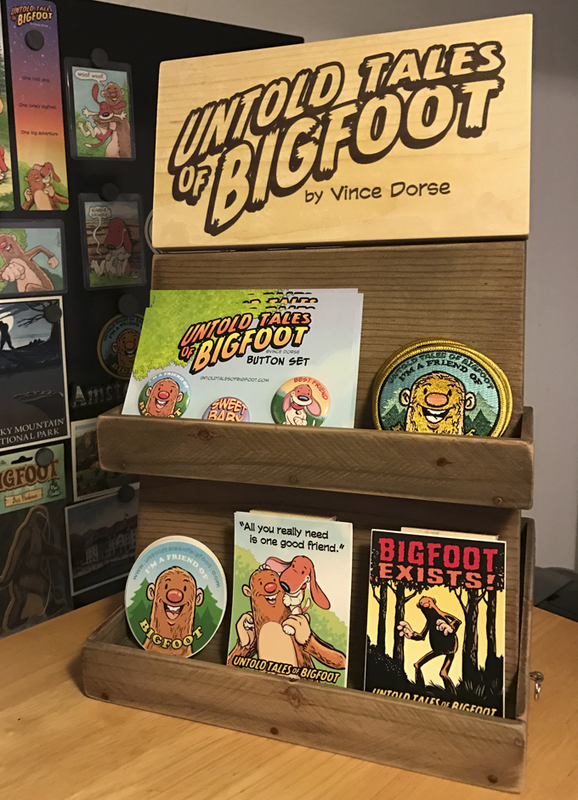 That was actually created for me by a friend (and Bigfoot enthusiast) who works with reclaimed wood and all-natural, non-toxic stains. You can find his Etsy shop here.